Thanks to their identical contours and the integrated redundancy option, the power supply is perfectly compatible with JUMPFLEX® modules. 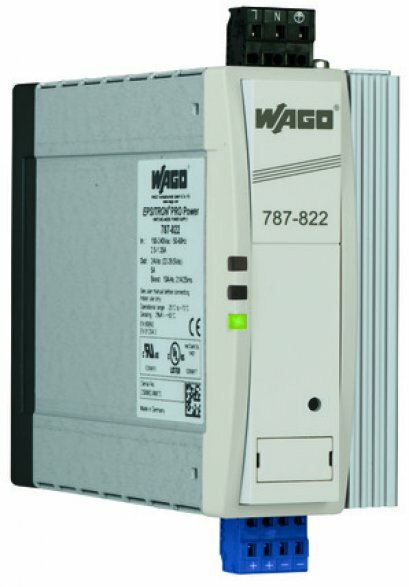 WAGO's 787-2852 single-phase power supply with a wide-range input of 100 to 240 VAC is ideally suited to supply both 857 and 2857 Series JUMPFLEX® modules. 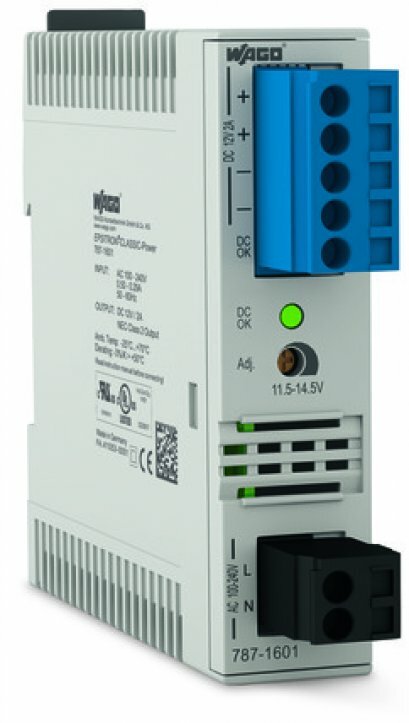 A common profile enables direct commoning of the output voltage, which significantly reduces the amount of wiring. 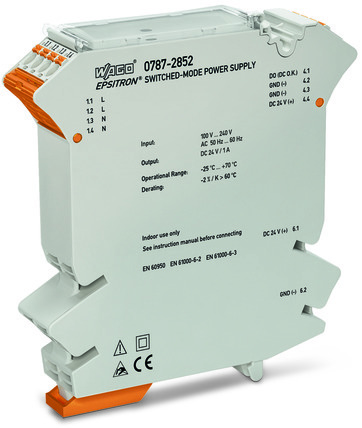 The power supply is available with a nominal output voltage of 24 VDC and a capacity of 24 W.
Wide-range input, often requires UL/GL approvals and slim design: EPSITRON® Power Supply is ideal for JUMPFLEX® isolation amplifiers/signal conditioners in the most varying applications. The integrated redundancy diode permits parallel connection, allowing for extra power and fail-safe power supply. 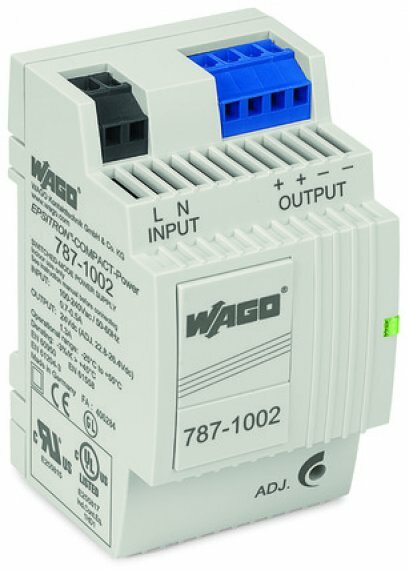 Furthermore, WAGO's pluggable connection technology provides convenient and cost-effective pre-wiring. 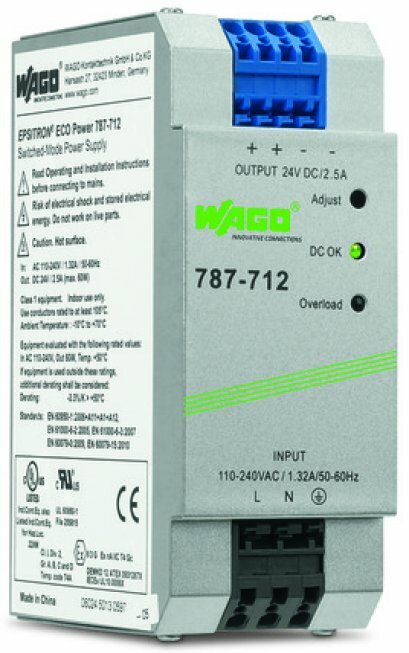 The operating status is signaled at all times to the user by the LED and active DC OK signal.